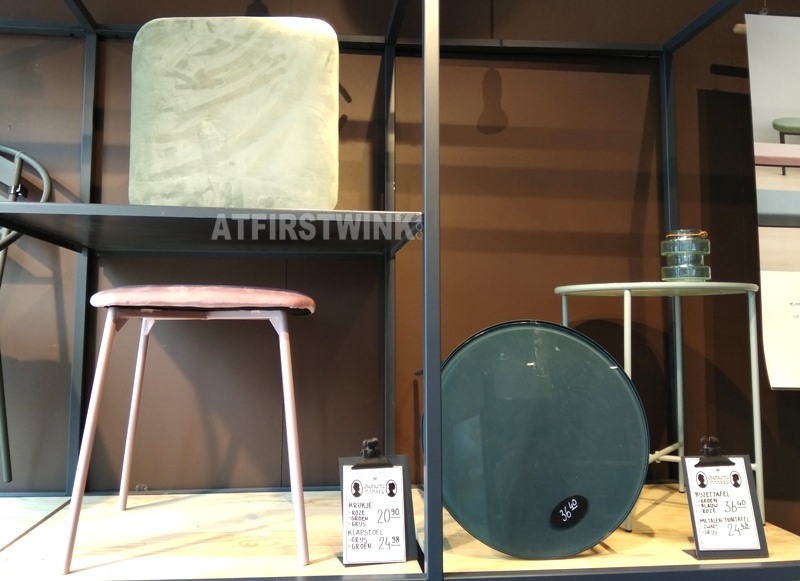 On Mother's day, I went shopping with my mom in Rotterdam city center and when I walked past the Søstrene grene store, I saw that they now have a velour stool in matching colors with the foldable chair that I previously bought. 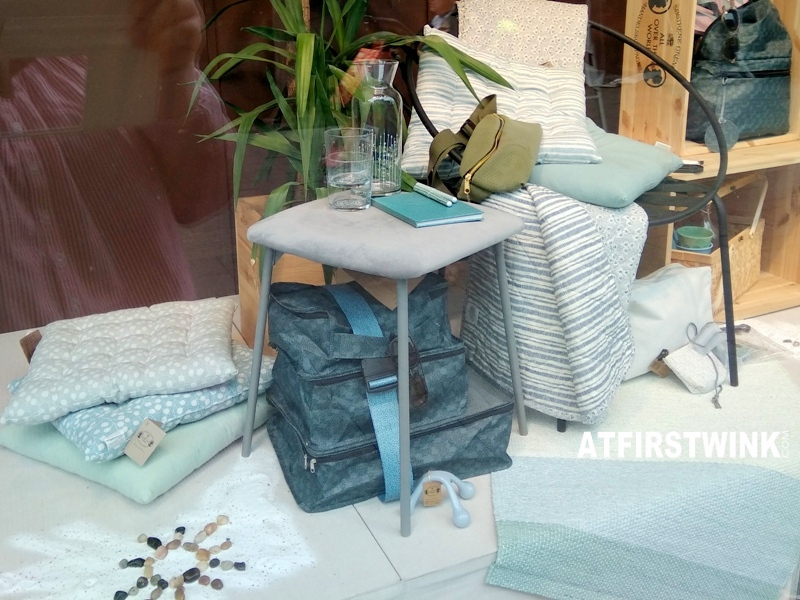 Besides the stool, I also discovered some cute rugs, plaids, cushions, travel bags, a massage tool, picnic basket, and a glass bottle and glasses, in the shop window. I almost wanted to buy them all. I don't know how they do it, but I keep finding a lot of things that I like, when I walk around in a Søstrene grene store. I am like a kid in a candy store. 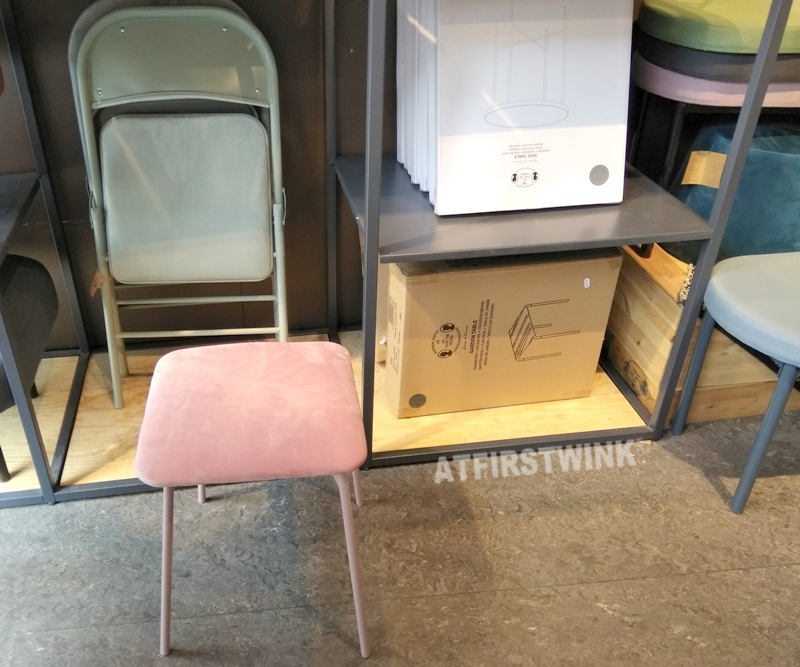 Inside the store, I had a look at the stool that I was very interested in. The velour stool costs €20.90, which is a bit cheaper than the foldable chair (€24.98). 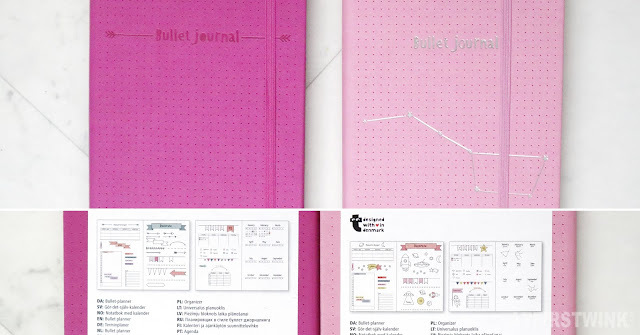 The design is a bit simple, but that can be a good thing too. After some thought, I am not sure if I really need another stool, but the glass side table next to it, is still on my wish list. I was a bit surprised to see that these two products come in IKEA like flat boxes and you still need to put them together at home. It wasn't the case with the foldable chair, as we just carried it out of the store as is. 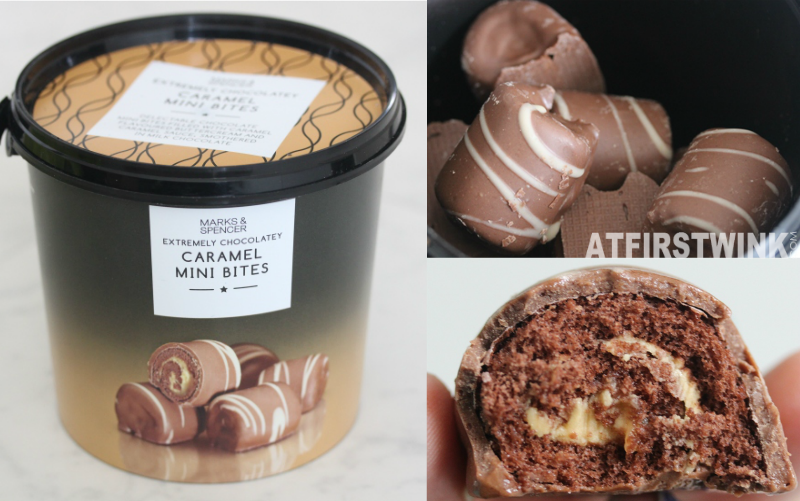 The good thing about it is that they are easier to take back home, if you don't live in Rotterdam or any other city with a Søstrene grene store. It is a shame that they don't have an online store and you cannot let it get delivered to your house, but I think these boxes can fit in a big shopper bag and you can take them along in the train or in the trunk of your car.